Jan. 29 (NBD) – Beijing Electric Vehicle Co Ltd (BAIC BJEV), a Chinese electric vehicle maker, has joined hands with Xiaoju Auto Solutions from Didi Chuxing, the largest domestic ride-hailing platform, to establish a joint venture named BAIC-Xiaoju New Energy Auto Technology Co Ltd, according to an announcement on Monday. The joint venture will focus on AI and new energy vehicles and plans to open 20 subsidiaries across the nation. Data search platform Tianyancha.com revealed the joint venture was founded in last December with the registered capitals reaching 400 million yuan (59.4 million U.S. dollars). Didi Chuxing holds 67 percent stakes and BAIC BJEV 33 percent in the joint venture. The tie-up shows Didi Chuxing's ambition in auto services and BAIC's desire for mobility. In fact, the collaboration can be traced back to last year, when the ride-hailing app entered an agreement with BAIC to expand businesses. For Didi Chuxing, partnering with BAIC BJEV provides it with opportunities to serve more mobility scenarios. It also eyes the electric auto maker's advantages in the infrastructure for battery charging and swapping. The car-hailing firm expects to deploy 1 million electric vehicles by 2020, which relies partly on the above-mentioned infrastructure construction and improvement. The cooperation can help prevent some car manufacturers from snatching up the market share in the mobility sector. For BAIC BJEV, it aims at increasing the new energy car sales. Developing customized cars with Didi Chuxing based on its mobility network will definitely help to expand the market share for BAIC BJEV's electric vehicles. In addition, Didi Chuxing, as one of largest shared mobility platforms in the world, can bring more channels to the auto maker. Moreover, the tie-up also signals BAIC BJEV's eagerness to transform its product structure since its products are tangled with immature core technologies and underdeveloped middle and high-level models. As the subsidies for new energy car are slashed, BAIC BJEV bears much pressure since it is a company focusing on low-end models. If the company wants to pursue expansion in the whole industry chain, it must team up with others. However, the future for the cooperation is still full of uncertainties. Facing downward business and stricter regulations, Didi Chuxing is seeking a new growth pole and is integrating resources, and auto services is the core of the efforts. But the ride-hailing company is not a strong player in the automotive aftermarket. Huge traffic can't bring it high-quality resources and its former practice of attracting users by subsidies and price cuts may no longer work. 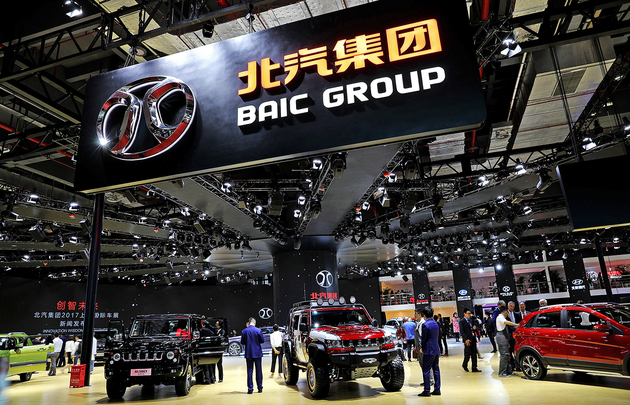 On BAIC BJEV's side, the company was stuck in quality-related problem. It recalled 70,000 vehicles last year due to brake booster flaws. Also, the electric car vendor has no edge in power battery technologies, which falls behind Didi Chuxing's technological expectation.